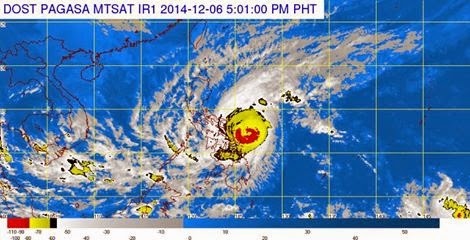 Typhoon Hagupit or Ruby made landfall in Dolores, Samar on December 6, 2014 evening. Officials of the place were already evacuated most of the people. There are no casualties and injuries reported. Damages in the area will still be identified by tomorrow. Typhoon Hagupit or Ruby is said to make landfall 8 times in different areas in the country. Signal no.3 raised in many areas.